I love stuffed animals and had a TON of them as a kid. When I got a little older (ok, a lot older), I packed a bunch of them away in garbage bags for my future children. Some of them really did get passed down to my kids, and they really play with them (weird kissing Simba and Nala have been a huge hit). so glad I saved them. Another bag of them was filled with mouse poop when I opened it. I don't say this to be gross (even though it is), but because it fills me with sadness to think those toys could have been played with (by humans) and instead they all became unusable trash. I love to save things. I mean, my instinct to save everything has been well-documented, but my real life children care a lot less about my childhood stuff than my hypothetical ones did, and now I regret that I saved way more than my kids could appreciate even if they wanted to. Don't repeat my mistakes. There are so many ways to let toys you love delight or comfort another person. So many great places to send these stuffed toys. This is especially important because stuffed animals are mostly made with synthetic fibers and filled with synthetic polyfill. In short, stuffed animals are plastic toys. Now, don't go put a hairshirt on about it, but you do want to give these toys as long a life as is possible and avoid getting them new when you can. Any stuffed animals that are in relatively good shape (no huge stains, limbs missing, etc) are good to give away, but check with the organization (some are cautious because of allergens). Even if it is too janky to give to another kid, YOU CAN STILL DONATE THAT TOY. Check the list, but animal shelters often still accept jank toys. So what do you do with them when you are done? Gift it to Family and Friends. When my son was born, my brother gifted him one of his Tigger's. When my niece was born, I gave her one of my Eeyores. Gifting one of our most favorite stuffies to a new niece or nephew when they are born is such a special tradition. If you have stuffed toys, consider checking with friends and family, it might be precious to someone else. Buy Nothing. In three years of parenting, we have received multiple Elmos. No one really needs more than one, but other parents have jumped on it for their kids on Buy Nothing. If you aren't in a Buy Nothing group yet, these local Facebook groups give you a space to gift or ask for free items from neighbors. 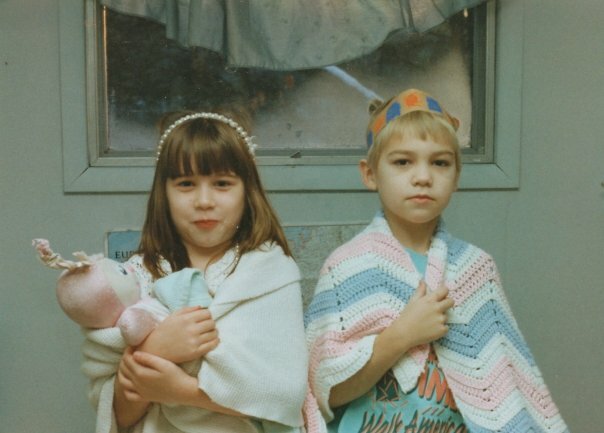 Foster Homes, Women's Shelters, and (maybe) Children's Hospitals. Before you send your stuffies off into the sunset, call around to the organizations and people doing good right near you. 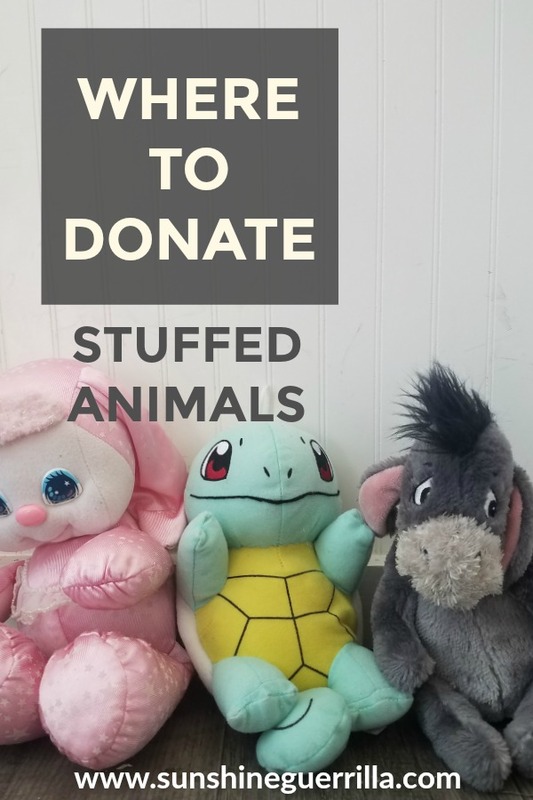 Stuffed animals and other toys can be very helpful at places like foster homes and shelters- those kids often don't have much, and what is nothing to you could be a treasure to them. Also, check if your local hospital takes donations. Our local hospital doesn't accept any used toys, but they will take those Beanie Babies you have had air sealed for years but haven't turned out to be the investment you expected. Come on, that is funny. You may not think there are many local options, but I bet you will be surprised. In Seattle we have tons of places that accept toy donations, including Baby Corner, Treehouse, and Mary's Place. Gleaning for the World. This Christian organization gives out humanitarian aid internationally, but is based out of Virginia. This charity does a lot of things, but it highlights its "Teddy Bear Brigade" distributing toys as sharing a little bit of love and stability to kids in uncertain situations. Last year, they distributed 43,000 toys to kids around the world facing poverty or natural disasters. This group has good documentation and lots of good ideas about ways to collect LOTS of stuffed animals at your school, sports event, or religious space if you have one. Stuffed Animals for Emergencies. This organizations (SAFE) collects stuffed animals which they then distribute out to kids in traumatic situations or natural disasters. They are based out of Ohio, but you can find chapters in other places (or addresses to mail your donations too. We know that climate change is already causing more frequent and dramatic weather events, so a group like this could help a lot of kids! I wish they had better information about where things are going, but if there is a chapter near you, it would be easy to investigate further. Goodwill and Salvation Army. I know lots of people have mixed feelings on these two stores, BUT I think anything that can redistribute and reuse items is doing some good. The only stuffies we have bought for our kids (Wall-E and Woody, so very Pixary up in here) were from Goodwill. If you have things in good condition, this can be an easy donation trip. Animal Shelters. If the soft toys are not exactly "like new" you could consider giving them to an animal shelter, since some animals also love having these comfort items. Have lots of stuffed animals at home? Now might be the perfect time to pare down and make someone else's day! This is a GREAT guide! I'm going to find a "buy nothing" group! Intrigued about the buy nothing groups. Also, how feasible is to wash stuffed animals before donating? I was always under the impression that stuffed animals couldn't be thrown into the washing machine because they're insides would never dry adequately and create problems. But then I hear of people passing stuffed animals on and I think, they have to be getting cleaned somehow?! Gifting the stuffed animals is what we love to do, we have so many for ourselves and we gift it to the newborns as well. I hadn't thought of donating stuffed animals, but we have SO many that we are going to need to donate! Good to know!